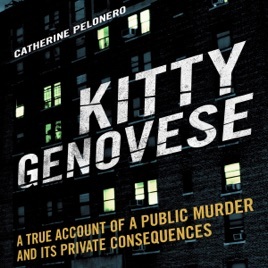 Written in a flowing narrative style, Kitty Genovese: A True Account of a Public Murder and its Private Consequences presents the story of the horrific and infamous murder of Kitty Genovese, a young woman stalked and stabbed on the street where she lived in Queens, New York in 1964. The case sparked national outrage when the New York Times revealed that dozens of witnesses had seen or heard the attacks on Kitty Genovese and her struggle to reach safety but had failed to come to her aid or even call police until after the killer had fled. This audiobook cuts through misinformation and conjecture to present a definitive portrait of the crime, the aftermath, and the people. Based on six years of research, Catherine Pelonero’s audiobook presents the facts from the police reports, archival material, court documents, and first-hand interviews. Pelonero offers a personal look at Kitty Genovese, an ambitious young woman viciously struck down in the prime of her life; Winston Moseley, the killer who led a double life as a responsible family man by day and a deadly predator by night; the consequences for a community condemned; and others touched by the tragedy. Beyond just a true crime story, the audiobook embodies much larger themes: the phenomenon of bystander inaction, the evolution of a serial killer, and the fears and injustices spawned by the stark prejudices of an era, many of which linger to this day.